When you are involved in a Michigan car crash, it’s hard to know what to do first. What you must keep in mind, first and foremost, is that whether you are the driver or passenger, you have rights. In a no-fault state like Michigan, you are entitled to insurance benefits to help compensate you for injuries, lost wages, and more, whether you were at-fault or not. Call 911. If there are witnesses to your car accident, chances are they will immediately be on their phones calling 911. If there are no bystanders, you or another party involved in the wreck will have to call the police or, if circumstances prevent you from doing so, you will have to wait for another motorist who is passing by to help you. It’s essential to report your accident and let law enforcement take it from there. Talk to the police. Police officers are responsible for filing an official report that shows the car accident occurred. This notification will include details from the police investigation of the scene, identification of evidence, statements from parties involved, and statements from witnesses. This information is critical to file a claim against the insurance company or sue the at-fault driver. Accept medical treatment. Your car may be totaled, but your health is the priority after an auto accident. Accept medical treatment, no matter how minor the incident. You may be in shock and not realize how badly hurt you are. You may think that nothing is wrong only to discover later that you suffered a traumatic brain injury. Paramedics will give you the proper treatment on-site and transport you to an emergency room should it be necessary. Not only will the medical care protect your well-being, it will provide a record of injuries should you choose to file a claim or personal injury lawsuit. Get help from a car accident lawyer. 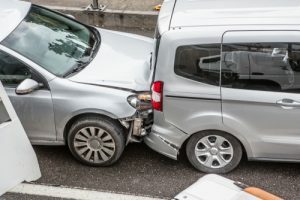 Retain the help of a car accident lawyer immediately to negotiate with the insurance company for you, especially if your accident was significant, caused major injuries, and will be costly for all involved. Your insurance company is supposed to help you, but they work for themselves. The smallest remark or casual conversation could be used against you should they prefer to avoid completing your claim or wish to lower the payout amount. Your lawyer will handle all the details and difficult conversations to make sure you’re being treated fairly. Don’t say too much, to anyone. Yes, the police will have questions for you about what happened in your car accident. Answer them. Only exchange contact information and insurance information with the other party involved in the accident and do not engage in other conversation, especially not about how the accident happened or who is at fault. The insurance company will have questions. Don’t answer them – at least not yet, and not on your own. Take photos and video: If you are uninjured or permitted to move around the scene of your accident with minor injuries, use your smartphone to document the incident with photos and videos (damage, debris, injuries, license plates, road marks, etc.) and even statements from witnesses. Yes, police officers will be doing the same thing, but showing the incident from your perspective offers powerful evidence should the officers miss something, or should you choose to file a claim later and need greater proof surrounding the accident for insurance purposes or a lawsuit. A Michigan car crash can be life-altering. Don’t allow yourself to be unfairly treated by the insurance company or settle for less than the compensation to which you are entitled. Contact Thurswell Law for immediate support. Your initial consultation is free and there are no fees unless you collect. Contact us at (248) 354-2222.